Take-Two's never been more optimistic about its long-term prospects. 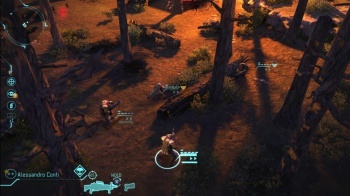 The success of XCOM: Enemy Unknown, Borderlands 2 and NBA 2K13 has boosted Take-Two Interactive Software's bottom line significantly and, in Take-Two's analysis, the best is yet to come. Fiscal year 2014, says executive chair Strauss Zelnick, "should be one of our best years ever." What with BioShock Infinite and Grand Theft Auto V on the horizon, Take-Two has every reason to be cheerful. Even old standbys like Grand Theft Auto IV and Red Dead Redemption are still contributing significantly to the bottom line, and what a line it is: a net income increase of 71%, to $375 million, of which catalog sales such as GTA IV made up 22%. Digital delivery is a hefty chunk of that net revenue increase, driven mainly by Borderlands 2 and catalog sales. Most of that income - about 60% - is coming from the United States, with international sales making up the rest. "We are increasing the low end of our outlook range for fiscal 2013," says CFO Lainie Goldstein, "to reflect our strong recent business trends. We now expect non-GAAP revenue to range from $1.15 billion to $1.2 billion and non-GAAP net income to range from $0.05 to $0.20 per diluted share." "You give people what they want, they come out for it," Zelnick concluded. "This quarter is living proof of that."